Miracles, signs of divine presence and intervention, have been esteemed by Christians, especially Catholic Christians, as central to religious belief. During the second half of the eighteenth century, Spain’s Bourbon dynasty sought to tighten its control over New World colonies, reform imperial institutions, and change the role of the church and religion in colonial life. As a result, miracles were recognized and publicized sparingly by the church hierarchy, and colonial courts were increasingly reluctant to recognize the events. Despite this lack of official encouragement, stories of amazing healings, rescues, and acts of divine retribution abounded throughout Mexico. 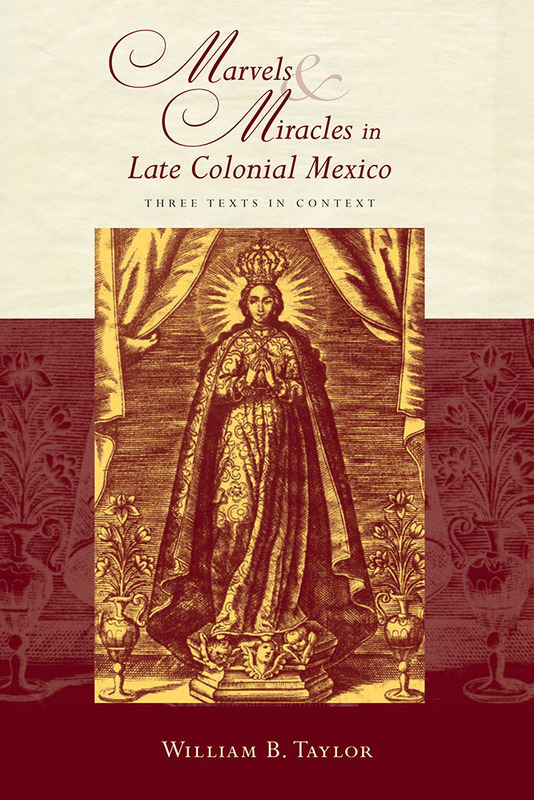 Consisting of three rare documents about miracles from this period, each accompanied by an introductory essay, this study serves as a source book and complement to the author’s Shrines and Miraculous Images: Religious Life in Mexico Before the Reforma. William B. Taylor is the Muriel McKevitt Sonne Professor Emeritus of History at the University of California, Berkeley.